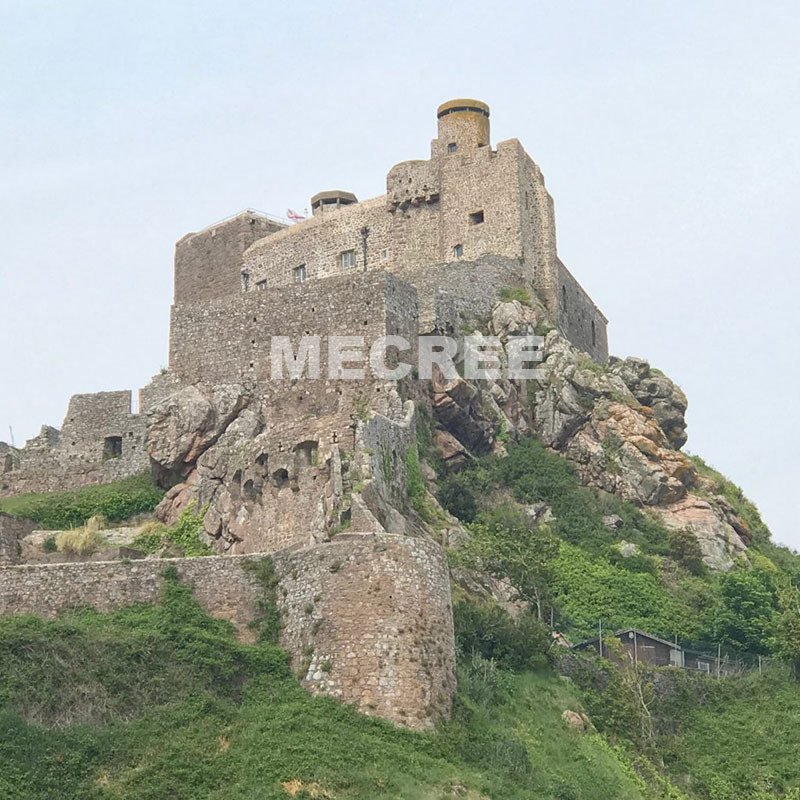 MECREE recently had the Pleasure of Illuminating the Mont Orgueil Castle, the Jersey Heritage site. 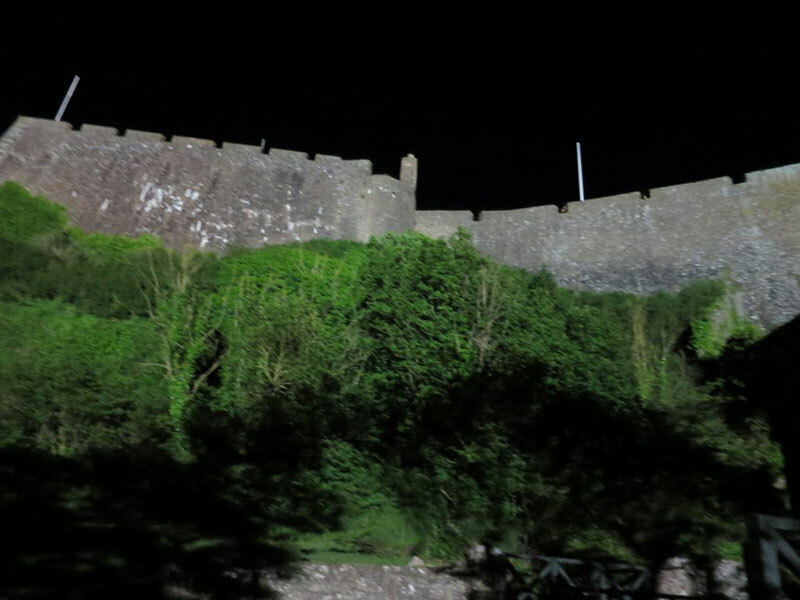 The castle's previous external metal halide lamps were housed in two lighting stations, positioned about 330 meters from the castle to illuminate the west and south sides of the building. 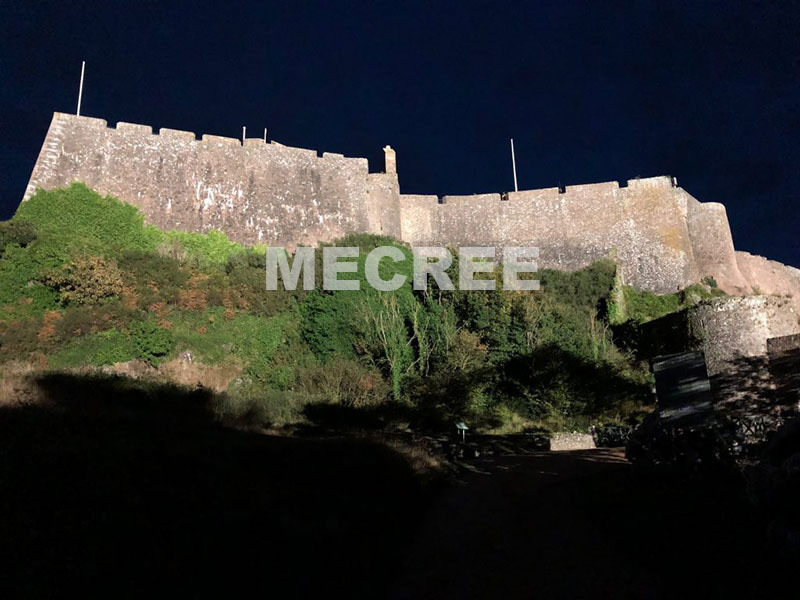 The lights were around 15 years old and were proving to be expensive in terms of both energy consumption and lamp maintenance, so upgrading to MECREE LED spotlights was the perfect option. 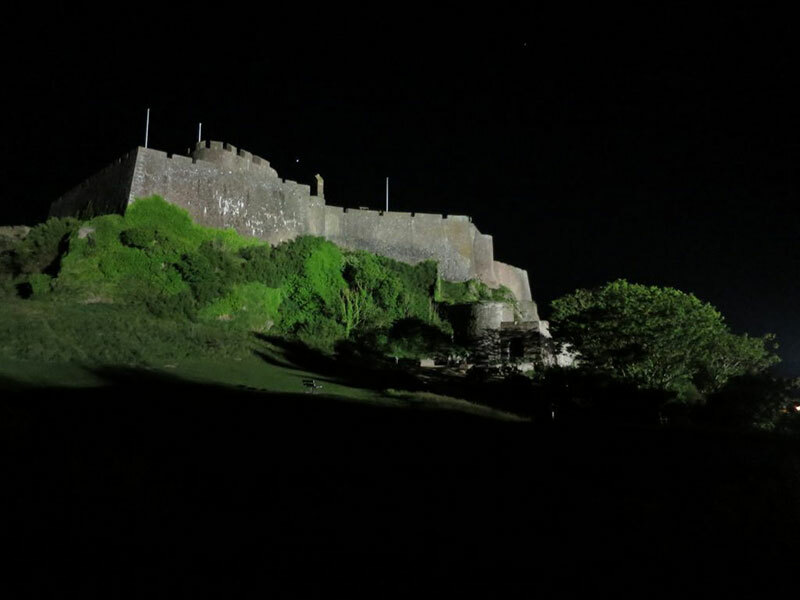 There were a number of reasons why the previous lighting scheme of 15 1000-watt lamps was not working for Mont Orgueil Castle. 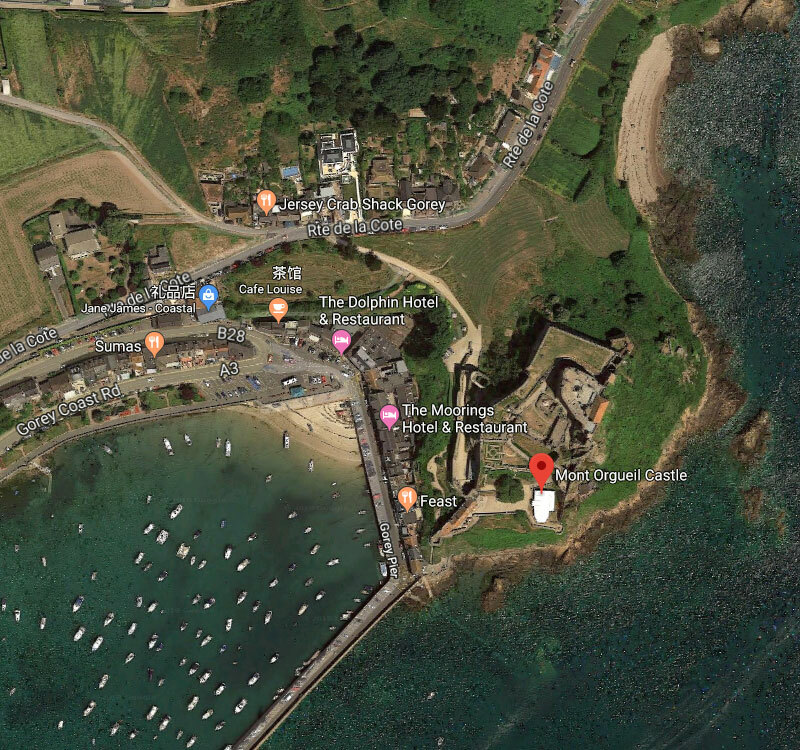 Metal halide lamps have a degradation of more than 60% over a two-year period, meaning they needed replacing every two years in order to maintain sufficient lux levels, which was not cost effective. Not helping matters was the environmental conditions at the coastal site location, which the lamps were struggling to cope with. 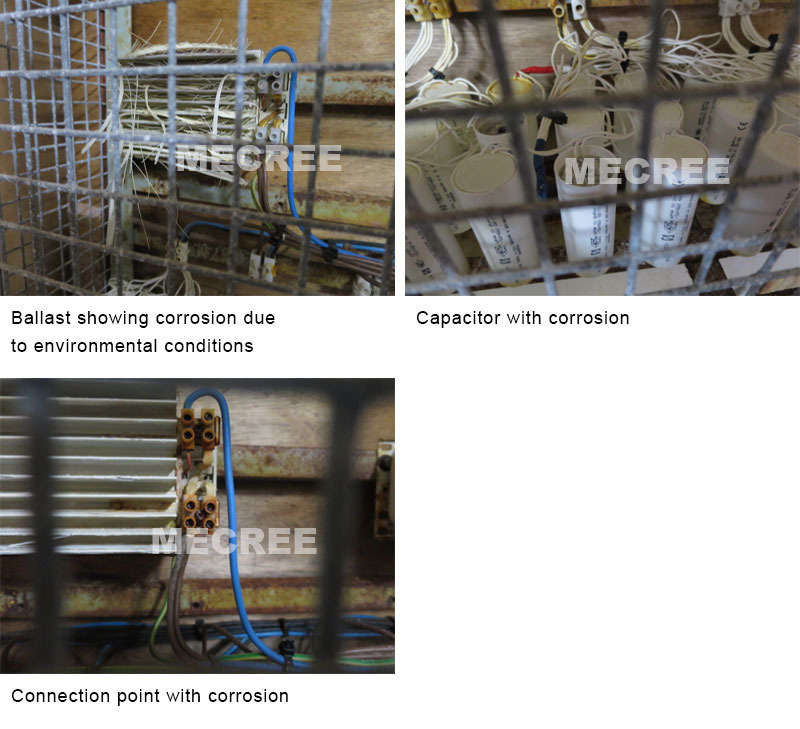 Constant wear and tear on the system components such as ballasts, capacitors and connection points were all contributing to increased maintenance costs. Not only that, but also the lamps were producing high levels of CO 2 emissions. 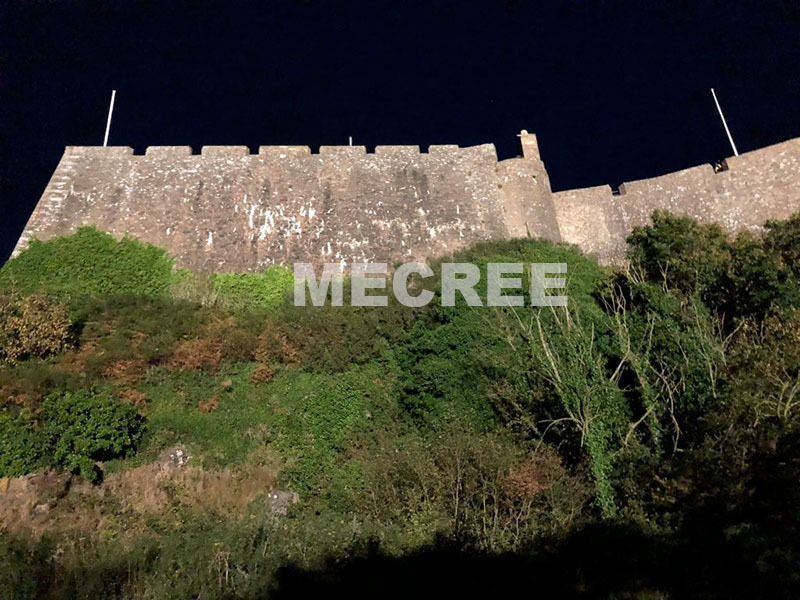 With all this in mind, MECREE LED sets out to increase the castle's lighting energy efficiency, lower the maintenance costs, reduce current CO 2 emissions and improve the visual impact of the castle's nighttime illumination. 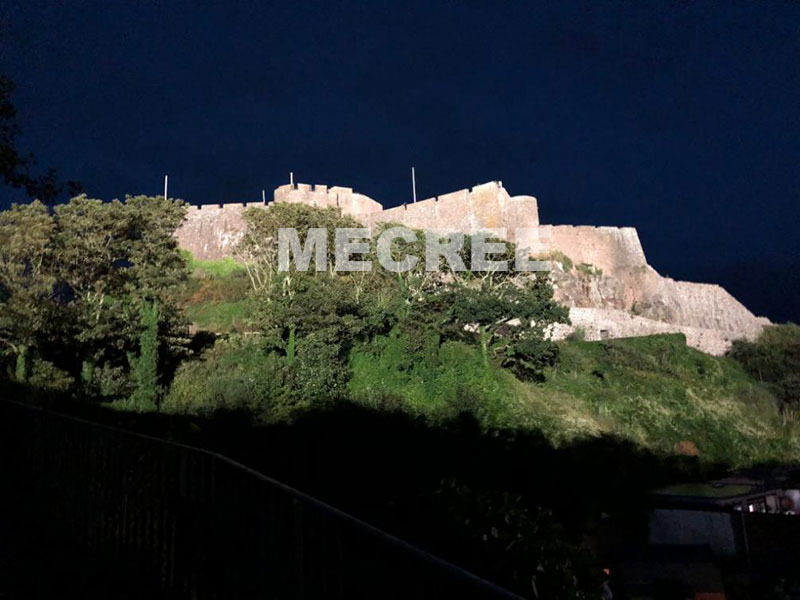 MECREE LED Spot Light were selected as Replacements for existing metal halide lamps. 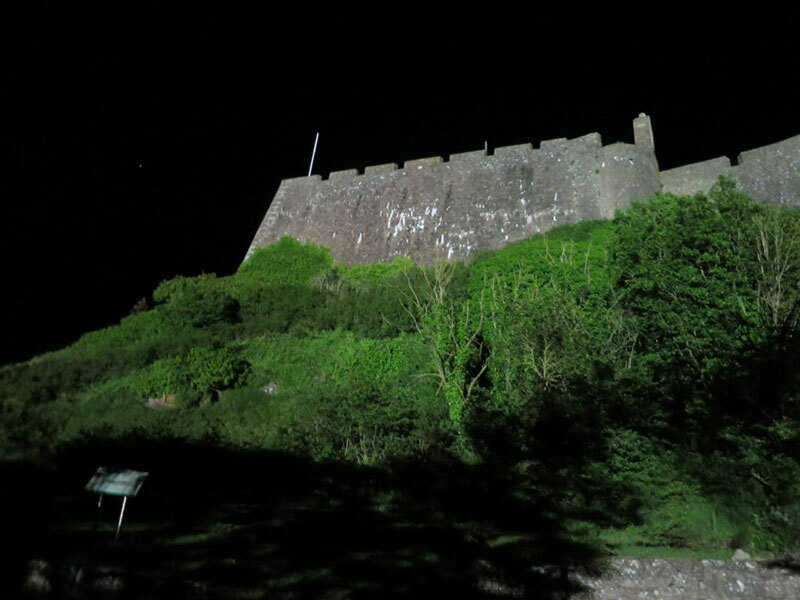 These spotlights solved all of the castle's problems, as well as being able to withstand the coastal environment. 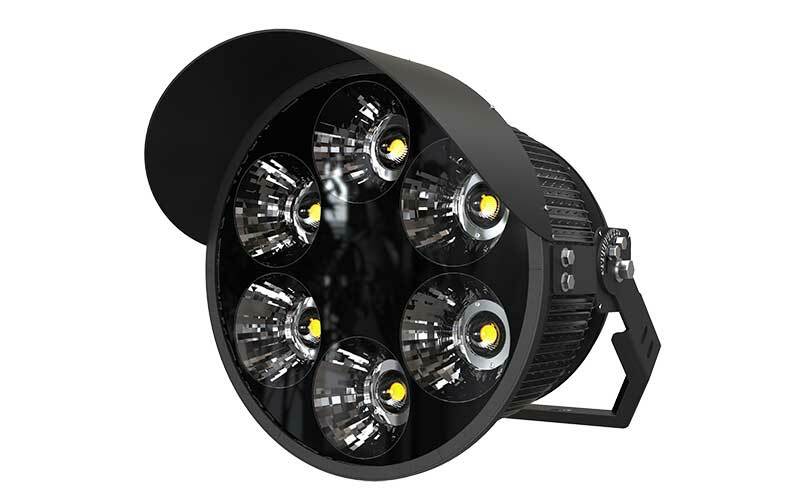 The MECREE LED Spot Light has a 5-year warranty and its citizen chip has LM80 certification for 60,000 hours, ensuring powerful brightness, lower power and running costs, reduced CO 2 output and reduced maintenance costs. 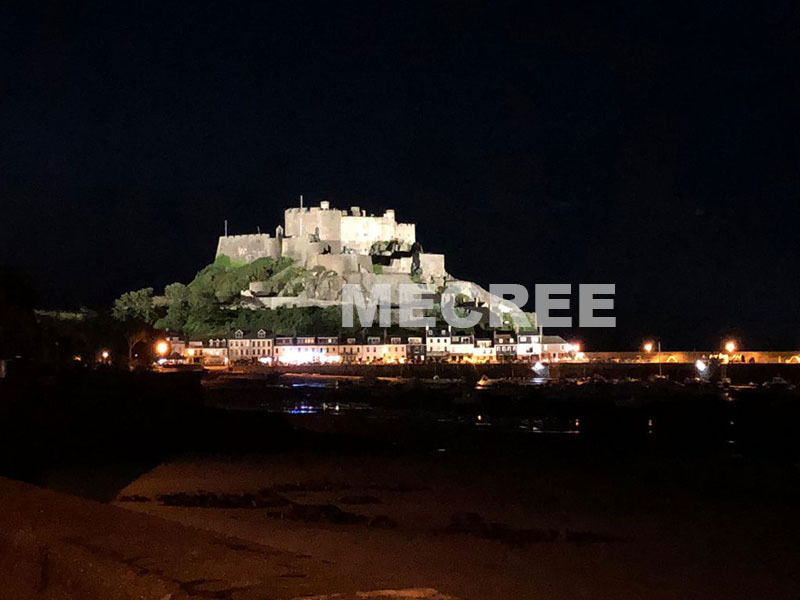 In Essence, the new MECREE LED's external lighting scheme will deliver a running cost savings of around 65% less than previous costs. It will incur little, if any, maintenance costs and a yearly reduction of CO 2 emissions of 6.93 tonnes. Over the lights 60,000 hours lifetime, the overall savings will be greater than £ 72,600. If you have any lighting projects that you'd like to discuss - large or small - then please contact us and we would be happy to discuss your LED requirements and offer friendly advice.